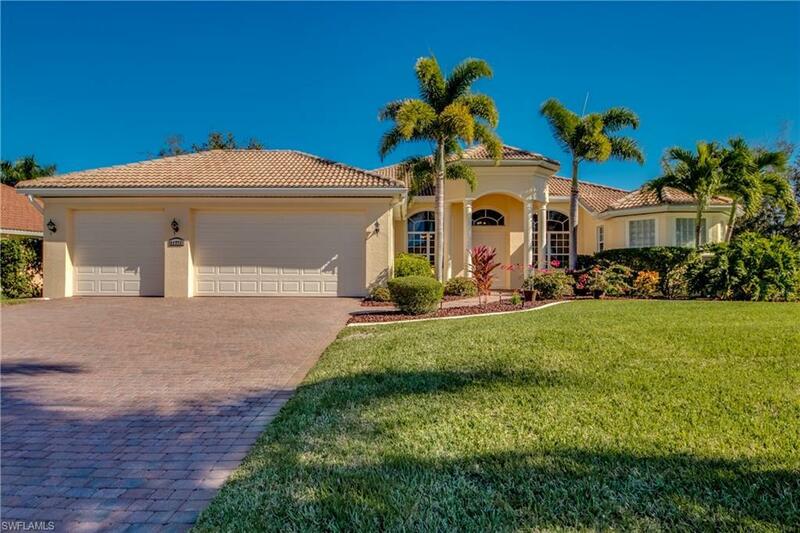 Immaculate Pool Home with Golf course and Water views! Large 2, 756 square foot home with 4 Bedrooms plus den and 3 Car garage. Perfect for large family. This Custom built home has 12' ceilings and low HOA fees of $1, 145 annually. Formal dining room and spacious Open kitchen. Corian counter tops and kitchen island with Stainless Steel Appliances. Large Master suite has sliders that open to pool area. Huge Master bath with walk in shower and Jacuzzi tub and dual sinks. Paver Pool deck and driveway. Large lanai with great view. "Beautiful inside and out. $50, 000 pool, lanai and two story screen added in 2006 for a total original price of $452, 000. Great for parties and guests. This is a home to be proud of." **Home includes extended warranty on all appliances, plumbing and electrical, ceiling fans, heating/cooling system, pool and roof!